Guam’s Environmental Protection Agency has been ordered to test sites around the tiny U.S. island territory for traces of the toxic Vietnam-era defoliant Agent Orange. In a letter dated Jan. 19, Gov. Eddie Calvo instructed the agency’s on-island administrator, Walter Leon Guerrero, to examine “drinking water sources and soils,” where U.S. military veterans who served there in the 1960s and ‘70s claimed the toxic-chemical mixture had been sprayed. “I have justifiable concern about the residual effects this chemical may have on our environment, particularly our aquifer and drinking water sources,” wrote Calvo, who said the testing was necessary after the veterans’ public claims. The governor did not provide additional details about the claims or when they were made. Guam EPA said it has requested affidavits from those veterans to pinpoint potentially affected areas, and is discussing the issue with colleagues in the U.S. and at the Defense Department. Agent Orange, used to defoliate jungles and kill crops during the Vietnam War, has been blamed for a slew of veterans’ health problems, including cancers and heart disease. It has also been known to cause birth defects in the children of those exposed. The military discontinued the defoliant’s use in the early 1970s. Since then, veterans have battled Veterans Affairs for benefits related to exposure. Some cases have been recognized, while others were denied. Guam and Japan — most notably Okinawa — have been left off the list despite claims. DOD last week told Delegate Madeleine Bordallo, D-Guam, that Agent Orange was not used or stored on the island, local media reports said. Guerrero said Monday that he, too, was concerned about Guam’s drinking water, adding the EPA was in discussions on how to conduct the investigation, including “sampling methods, analysis and abatement measures.” Guerrero said they had begun talks with the U.S. EPA’s Region IX Emergency Response Team, which has worked with the Superfund Technical Assessment and Response Team, or START, in the past. START is in the removal and mitigation of dioxins. Standard quality control practices will be observed with any samples collected, he said. “If there is any discovery of dioxins on Guam that can be linked to Agent Orange, the Guam EPA will coordinate with the Guam Waterworks Authority, the Joint Region Marianas and Water and Environmental Research Institute of the Western Pacific (WERI) to engage in remedial action, upon discovery,” Guerrero wrote. “Our agency will work in tandem with other agencies in critical areas to meet our mission in safeguarding the environmental and human health on Guam.” Guam EPA said it would keep the public informed; however, the agency did not respond to Stars and Stripes’ questions regarding potential sites, a timeline or DOD cooperation. Calvo, who said he was especially concerned about Agent Orange carcinogen 2, 3, 7, 8-tetracholordibenzodioxin, or TCDD, added he would be “closely monitoring” the federal response. Between his vows to replace ObamaCare, build a border wall and renegotiate trade pacts, President Trump’s inbox is mighty full his first week in office. But one of the biggest challenges will be the Department of Veterans Affairs, where massive problems persist – many in the same hospital that was the epicenter of the waiting-list scandal that rocked the agency, and shocked the public, in 2014. “Until Congress passes strong accountability measures, VA employees from top to bottom will have little incentive to change this toxic culture,” said Mark Lucas, executive director of Concerned Veterans for America, a veterans’ advocacy group. A recent survey of employees at the Phoenix facility reported employees have little confidence in the integrity of their supervisors — findings Lucas called “unsurprising.” Two government audits also found little improvement and costly inefficiencies in the agency as a whole. Trump, who vowed during the campaign to overhaul the scandal-scarred department, has nominated Dr. David Shulkin, a VA undersecretary in the Obama administration, to take over. If confirmed, Shulkin and Trump together will confront problems that extend well beyond morale issues. The Government Accountability Office for the third year reportedly will place the VA health system on its “high risk” list when it’s released in February, because of continued problems of waste, fraud or mismanagement. The forthcoming report will say the VA has showed “only limited progress” since the scandal erupted. The VA Office of Inspector General also reported earlier this month that in 2015, the VA awarded more than $177 million in improper relocation or retention bonuses based on inaccurate information to 238 different employees, many of them executives. The report blamed the VA for “ineffective oversight processes to ensure compliance,” and “ineffective procedures to recoup funds from individuals with outstanding recruitment and relocation incentive service obligations.” And the January survey of employees at the Carl T. Hayden VA Medical Center in Phoenix – which has had seven directors since 2014 revelations about VA officials falsifying patient wait times as some died waiting for care – found fewer than one-third of employees feel their supervisors have integrity or that whistleblowers would be protected. Trump’s 10-point plan to reform the VA included firing bad employees; creating a special commission to investigate cover-ups; and ensuring veterans have the option of VA vouchers for private health care. The department clearly is still high risk. Yet some of Trump’s goals already are in the process of being realized, said Joe Chenille, executive director for the veterans advocacy group AmVets. “We have gone from 19 percent getting care from outside sources, paid for by the VA, to 31 percent,” Chenelly told Fox News. “My prediction is a surge of people will want care outside the system.” Shulkin, who has experience as a hospital CEO, came to the agency with now-former VA Secretary Bob McDonald to make reforms after the scandal, and has the confidence right now of the Trump administration. “Dr. Shulkin is a nationally-recognized turnaround artist, health care leader, and passionate veterans advocate who is eager to transform the VA and will be able to do so in the Trump administration,” Trump spokesman David White said. “If confirmed, Dr. Shulkin will be ready on day one to enact President Trump’s 10-point plan to end mismanagement and incompetence at the VA, and ensure our veterans get the timely, quality care and support they deserve.” A VA spokeswoman declined to comment and deferred to the Trump team. A new VA secretary isn’t enough, though, said Lucas of the CVA. “These are problems that arose as a result of a system that is set up to fail, a system no one leader can change without meaningful reforms from Congress,” Lucas said. “The VA needs to be transparent with veterans and taxpayers about its performance and how money is being spent. But most importantly, veterans deserve to be empowered with choice over where and when to see a doctor.” In September, RimaAnn Nelson, became the seventh director of the Phoenix veterans health system since the 2014 scandal. Nelson is no stranger to other VA controversies. She previously was director of the St. Louis system, where an inspector general report determined 1,812 patients were potentially exposed to hepatitis and HIV infections because of breaches in cleaning and sterilization of medical equipment. Senate leaders have scheduled a confirmation hearing for VA secretary nominee David Shulkin next week and signaled a likely easy path to the post after meeting with him Wednesday. If confirmed, the 57-year-old Shulkin, who has served as VA under secretary for health since June 2015, would be the first non-veteran ever to hold the post and the first appointee from former President Barack Obama’s administration to be held over into President Trump’s White House. His confirmation hearing before the Senate Veterans’ Affairs Committee will take place Feb. 1. Chairman Johnny Isakson, R-Ga., praised him as an exemplary candidate after announcing the date Tuesday. “We all enjoyed bringing him on board 18 months ago,” Isakson said. “He helped (former VA Secretary) Bob McDonald solve some big problems in terms of medical personnel. I am just so delighted that Trump decided to nominate him, and I hope we can have a thorough but expeditious hearing with him.” Other senators and veterans advocates have signaled similar support for Shulkin. The nominee met with lawmakers on Capitol Hill on Wednesday, to discuss his plans for the department in advance of the hearing. Last fall, Shulkin testified before the Senate in favor of plans to extend the controversial VA Choice Card program past August 2017, but also argued that the VA needs to remain “the care coordinator” for veterans’ medical needs. He has also voiced support for expanding private-care partnerships with VA hospitals, a plan that Republicans in Congress have already endorsed. But top Trump officials have hinted about going even further. Transition team officials said he would consider the idea of “privatizing” some VA services and offerings, in an effort to provide faster access to medical care to veterans. Veterans groups have railed against those proposals. On Tuesday, Isakson said he was not interested in dismantling the VA. “We have no interest in privatizing VA,” he said. “We have every interest in making sure veterans have easy access to health care, and to reform the VA delivery system so we can do that. But there’s not going to be a privatization of VA. We’re going to expand opportunities.” If Shulkin faces no real opposition in the Senate, he could be sworn into the post by mid-February. Currently, former VA Chief of Staff Robert Snyder is serving in the top role at the department. The Department of Veterans Affairs will exempt many health care and other positions from a temporary federal hiring freeze, according to a memorandum issued Friday by acting VA Secretary Robert Snyder. President Donald Trump on Monday announced that federal agencies cannot fill open positions or create new ones for 90 days, until the Office of Management and Budget can devise a long-term plan to cut the federal workforce through attrition. The presidential memo states there could be exemptions for jobs necessary for national security or public safety, and Snyder announced Tuesday that he intended to exempt some positions. Those positions were not clear until Friday, when Snyder released a list of exempt jobs. The VA has about 2,300 openings posted on a federal website. The office of Sen. Jon Tester, D-Mont., the top Democrat on the Veterans’ Affairs Committee, said the agency has 45,000 vacancies. It’s uncertain how many of the vacancies will be exempt under Snyder’s memo, but the list of positions is wide-ranging, from various health care positions to those working on major construction projects and in the National Cemetery Administration. Other positions include housekeeping, pest control and food service employees. “I am exempting certain positions from the hiring freeze because they are necessary to meet [VA] public safety responsibilities,” Snyder wrote in the memo. The VA is preparing to open facilities in 23 cities. Included in the exemptions are the minimum staff necessary to run those facilities, Snyder wrote. He said the cemetery workers exempted from the hiring freeze are those “directly involved with the burial of veterans and their eligible family members.” Snyder called his list of exemptions “guidance” and said it could change if the VA received more information on the hiring freeze from the Office of Personnel Management or Office of Management and Budget. The list of exempted jobs was released after lawmakers and veterans groups spoke out against the hiring freeze at the VA. On Wednesday, more than 50 Democrats sent a letter to Trump, asking that he exempt the VA from the hiring freeze. They also urged him to exempt veterans seeking jobs in any federal department. Republican chairmen of the House and Senate veterans affairs’ committees followed up Thursday with their own letter, asking Trump to exempt patient care providers. Large veterans organizations – including American Veterans, the American Legion, Veterans of Foreign Wars and Iraq and Afghanistan Veterans – have also spoken out against the hiring freeze at the VA and for job-seeking veterans. Military Exchanges, which are retail stores that offer everything from electronics to apparel, will soon be opened to honorably discharged veterans, the Department of Defense announced. Dubbed the “Veterans Online Shopping Benefit,” 20 million veterans will be able to shop online at Army and Air Force Exchanges come Nov. 11 — Veterans Day. 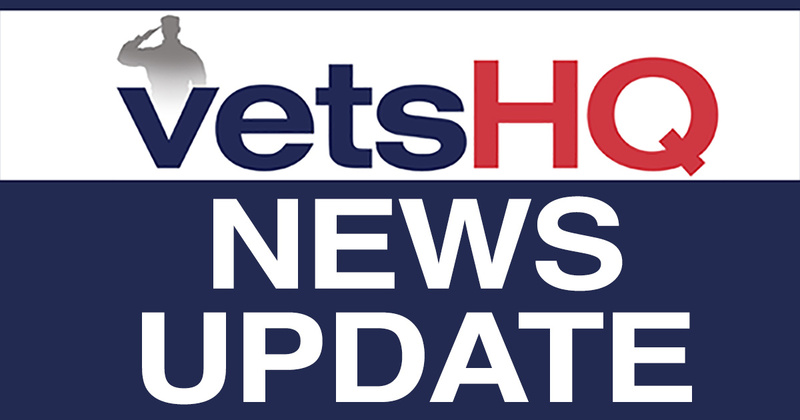 “We are excited to provide these benefits to honorably discharged veterans to recognize their service and welcome them home to their military family,” said Peter Levine, who performs duties under the secretary of defense for personnel and readiness. “In addition, this initiative represents a low-risk, low-cost opportunity to help fund morale, welfare and recreation programs in support of service members’ and their families’ quality of life. And it’s just the right thing to do,” Levine added. Shopping privileges exclude the purchase of uniforms, alcohol and tobacco products. He served his country and is paying the ultimate price, but before former Navy Captain Walter Miner asks the V.A. for help, he asks that his crew be taken care of first. Capt. Miner is one of thousands of veterans facing death at the hands of Agent Orange. Their stories cultivate both commiseration and condemnation. Following a series of reports by Target 8, senior investigator Florida Congressman Dennis Ross requested a meeting with the Air Force to inquire about the use of Agent Orange on Guam. The military told Ross it did not use the cancer-causing defoliant outside of Vietnam or Thailand, but evidence that it did keeps mounting, veteran by veteran. Walter Miner spent 28 years in the Navy as a doctor. He was stationed in Guam, then later in Vietnam. While Marine and Army units with which he worked fought the enemy, Miner put their health first, fighting diseases to which they were exposed and contracted. “Malaria was a huge one, but we had a big problem with dengue and potentially big problem with plague,” he remembered. His time in Vietnam exposed him the toxic herbicide Agent Orange. The now 85-year-old Walter Miner is paying dearly for his service to America. “I have stage four metastatic prostate cancer, incurable,” he said. “I have stage one bladder cancer.” He also suffers from heart disease. All of those conditions are presumed to be caused by Agent Orange exposure. “It is almost an unique toxin and it’s a very, very bad one. There is no safe dose,” Miner explained. Several weeks ago, when Air Force veteran Leroy Foster told Target 8 that he personally sprayed thousands of gallons of Agent Orange on Guam, Miner learned he’d been exposed there also. The V.A. routinely denies Agent Orange benefits to veterans who served there. Our reports prompted Congressman Dennis Ross to demand answers from the Air Force. “It’s turned into an adversarial process where the V.A. is saying that you’re guilty until proven innocent. That’s the wrong standard there, which is why we need these presumptions, presumptions that we have in the Blue Water Navy bill presumptions that we’ll have in the Guam bill. Presumptions in favor of these people who raised their right hand in order to give their life in the defense of this country,” Ross said. His service in Vietnam alone makes Miner eligible for Agent Orange benefits. But, as he did while in the Navy, he is putting the welfare of his troops before his own. “Almost everyone that I know that’s applied for them has been turned down,” Miner said. “And as I said before, I would much rather have my enlisted crew get them than me.” Ross wants more documentation from the Department of Defense. He wants to know what chemicals were used during the Vietnam era. He vows if there is a cover up he will get to the bottom of it. A 2004 report to Dow Chemical investors warns “soldiers stationed on Guam who handled Agent Orange are becoming ill and symptoms of dioxin poisoning are evident in the general population.” The military has not offered an explanation about that report. A 60-year-old Florida woman has pleaded guilty to pretending to be blind for more than a decade to receive veterans disability benefits of nearly $400,000, investigators said. Veronica Dale Hahn, of Bonifay, entered the guilty plea Friday in Panama City federal court. Hahn is accused of convincing Veterans Health Administration staff and private doctors that her service-related injury caused nearly complete blindness in both eyes from 2001 to 2016, court documents say. Within a year of receiving her disability benefits, though, investigators reported that Hahn had obtained drivers licenses in New Mexico, Alabama and Florida with no vision restrictions. “Hahn was also observed driving her personal automobile on numerous occasions,” a media release from the U.S. Attorney’s Office said. “She also worked full time as a case manager and transition counselor at several state correctional facilities. “All of which required normal eyesight to perform her duties.” Hahn entered the guilty plea after two days of jury trial, officials said. When she is sentenced on April 13, Hahn could face up to 10 years in prison.